The Burlington Police Department needs your help in identifying these persons of interest in crimes against the community. If you recognize any of these individuals, please contact us. The department is always looking for individuals who are eager to serve in their community. If you are interested in joining our team, you can apply here. Every Friday, the BPD release their most wanted individuals list. If you have any information regarding these offenders, please contact us. We are providing some tips on how to avoid becoming a victim of various crimes. We cover scams and how to avoid them, ways to prevent being a victim of theft from your vehicle, and more. If you have any information regarding criminal activity, please contact Crimestoppers. It is completely anonymous, and you may receive a cash reward! The BPD is seeking information from the community to help in these ongoing homicide investigations. If you have any information, please contact Crimestoppers or use our non-emergency number. The department frequently gives the community a glimpse into the workings of the BPD. We have covered what to do if you're stopped by an officer, calling 911, and more. The Community Academy is a chance for citizens to get an inside look at how the BPD works. You will learn how to collect evidence, use Radar guns, hear from Chief Smythe, and drive a patrol vehicle. We are always taking applications for our next session. We offer a ride-along program to Burlington residents. 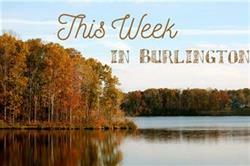 The program allows citizens to accompany patrol officers while on duty so they may get a glimpse into what it is like to patrol the City of Burlington.